Delaware offers one school for students interested in pursuing a master's in communication degree. The University of Delaware in Newark offers a traditional on campus Master of Arts in Communication program that prepares students for advanced academic study in communication as well as for expanding their careers in public relations, advertising, corporate communication and other areas of the communication field. Upon graduation, many graduates of the University of Delaware program go on to prestigious Ph.D. programs around the country or to pursue professional positions in nearby Wilmington or Philadelphia. Major companies that call Delaware home and provide potential career opportunities for communications experts include Astra Zeneca, ab+c Creative Intelligence, Archer Group, DuPont Co., and Bank of America. See below for details about the University of Delaware Master of Arts in Communication program. The University of Delaware in Newark offers a traditional on campus Master of Arts in Communication program. What to Know: The M.A. program is a theory and research based program in interpersonal communication and mass communication with four main areas of study: advertising, organizational communication, political communication and public relations. The academic track prepares students for Ph.D. level studies in communication, and the professional track prepares students to expand their careers in various areas of communication, including public relations, advertising, corporate communication, political communication and others. What Does It Cost? 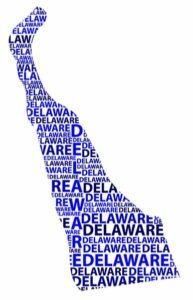 : Graduate student tuition at the University of Delaware for the 2017-2018 school year is $1,770 per credit hour. This fee does not include additional mandatory school fees and materials. Anything Else? : The application deadline for admission and a department graduate teaching assistantship is February 1 for admission in the fall. Applicants applying for admission only should have their application file submitted by May 1. Students begin the program in September of each year.